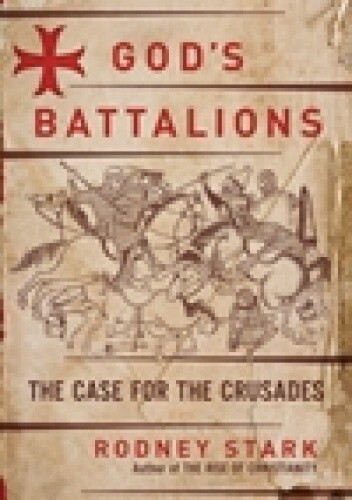 In God's Battalions, award-winning author Rodney Stark takes on the long-held view that the Crusades were the first round of European colonialism, conducted for land, loot, and converts by barbarian Christians who victimized the cultivated Muslims. To the contrary, Stark argues that the Crusades were the first military response to unwarranted Muslim terrorist aggression. Stark reviews the history of the seven major Crusades from 1095 to 1291, demonstrating that the Crusades were precipitated by Islamic provocations, centuries of bloody attempts to colonize the West, and sudden attacks on Christian pilgrims and holy places. Although the Crusades were initiated by a plea from the pope, Stark argues that this had nothing to do with any elaborate design of the Christian world to convert all Muslims to Christianity by force of arms. Given current tensions in the Middle East and terrorist attacks around the world, Stark's views are a thought-provoking contribution to our understanding and are sure to spark debate.